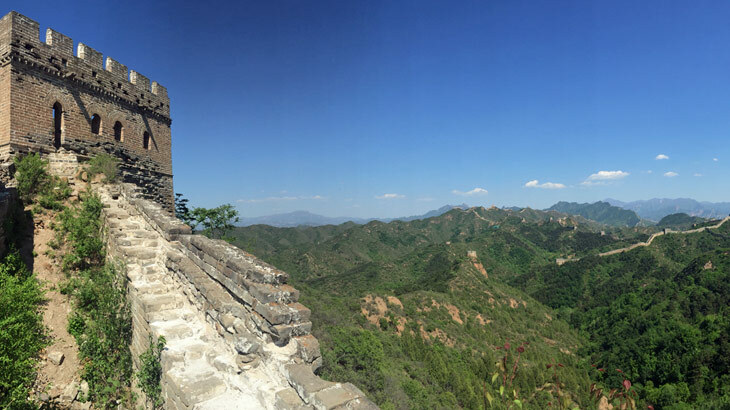 Rowan Goldthorp, our Product Manager, recently returned from an escorted holiday to China, where she experienced the more adventurous and off the beaten track sides of this grand country. Here she details her favourite memories to inspire you on your own China holiday. So tell us about your latest holiday to China? In May, I was lucky enough to join two of our new China Discovery Tours. Even though I’d been to China before, this visit opened up my eyes to new experiences and off the beaten track areas within the country. What was different about this trip to the last time you visited? Although I’d already done some of China’s ‘classic’ sights, this trip showed me sides of China which I didn’t even know existed! We hiked on a really wild and rough section of the Great Wall from Gubeikou to Jinshanling: the views were breathtaking. Gubeikou is really special as it’s the most authentic section of the Great Wall and you can climb to the top of the watchtowers to feel what it was like for soldiers to survey the surrounding hills.The walk was challenging but rewarding – I was very lucky to have the opportunity to do it. 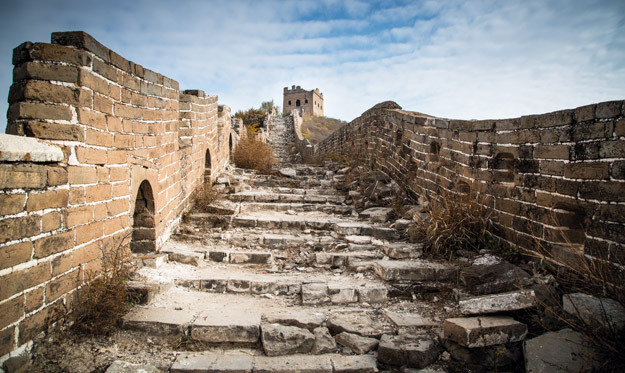 You can walk this part of the Great Wall too on our A China Adventure tour. But it wasn’t just about the epic sights for me. I also walked deep into the Hutongs in Beijing and found a fantastic little hole-in-the-wall crepe vendor that sold delicious vegetarian crepes for about £1! 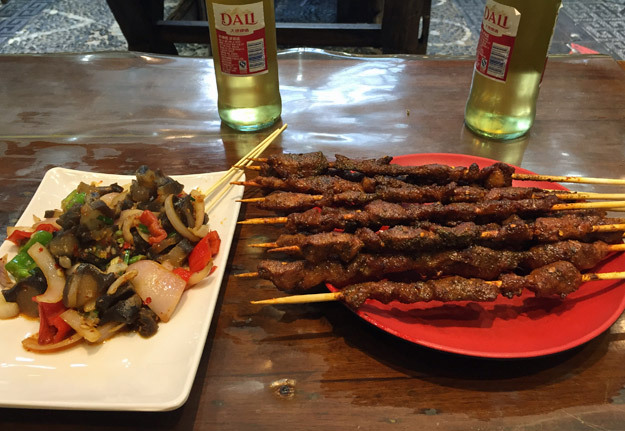 And in Yunnan, I had the most amazing time exploring the quirky food stalls in Dali and Lijiang. Mighty skewers of meat and vegetables were cooked right in front of me; I then sat down and enjoyed them with a number of locals. These were just a few experiences that differed to my first visit, which all have given me a greater understanding into China’s incredible culture. Was there a stand out moment for you? My personal and most unexpected highlight was when we walked up through the forests of Weibaoshan in Yunnan. This Taoist mountain is home to 22 beautiful, ancient temples and we visited about four of them. At the top of our walk, we joined a Taoist master who taught us the principles of meditation in the courtyard. The atmosphere was so peaceful and spiritual. On the way back down we visited Longtan Temple, which means ‘Dragon Temple’. Inside, we found a beautiful courtyard garden with little stone bridges and immaculately kept flowers and plants. The whole time we were in Weibaoshan, we only saw one other visitor and a few Taoist priests. You can experience Weiboshan for yourself on our tour of Yunnan and Tibetan Wonders tour. If you could sum up your whole experience in a sentence, what would you say? On this trip I experienced a whole new side of China I had never seen before, and I fell in love with it all over again. 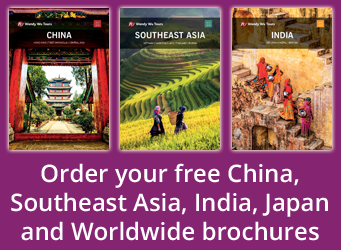 Book a holiday in China with the UK’s leading China Experts, Wendy Wu Tours. Our fully inclusive, escorted tours of China visit all the major sights of this amazing country for a truly unforgettable holiday. We can also design your own, dream itinerary so that you can explore the areas you want, when you want! China culture, top things to see, travel. permalink.